Pipe cutting equipment is available in either cold cutting (machining) or abrasive cutting. The popular Hydratight clamshell cold cutter allows you to sever and bevel the pipe with one piece of equipment and without sparks or heat damage to the pipe. Many accessories are available to perform additional machining operations. Hydratight Clamshell Pipe Cutters are a versitile cutting, end prepping, portable machining tool for many pipe and pressure vessel applications. 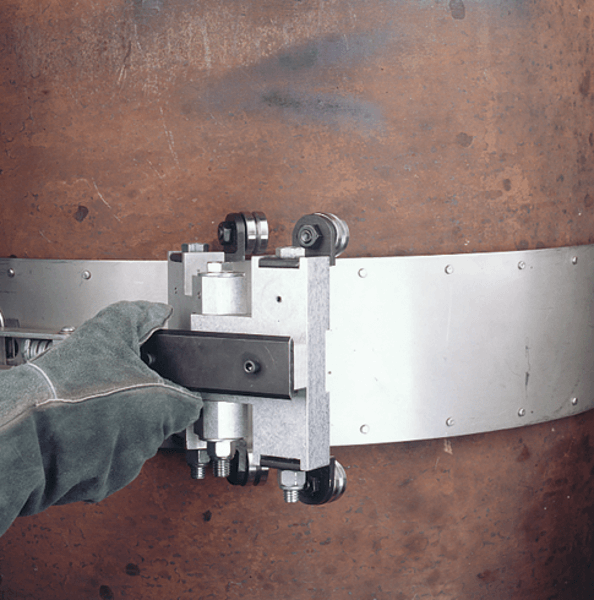 Available in sizes to OD mount on 0.84" up to 177"
Hydratight Clamshell Pipe Cutter Accessories attach to the clamshell and provide many optional machining procedures such as flange facing, counterboring, axial machining, casing cutting, and special weld preps. 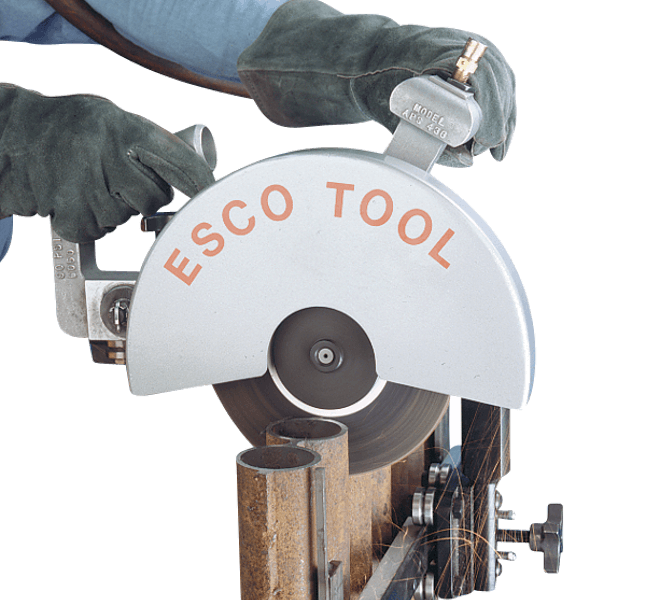 ESCO Tool MILLHOG® Wrap Tracks mount onto pipe OD and with the trolley allow the Air Powered Saw to sever pipe. Available in sizes from 6" to 60"
Pickford sells and rents pipe cutting tools and portable machining equipment to all of Western Canada including Manitoba, Saskatchewan, Alberta, and British Columbia from our 40,000 sq.ft. Edmonton warehouse.